I love the desert Southwest, we spent part of our winter in that part of the country and this project is inspired by the people and landscape of the area. 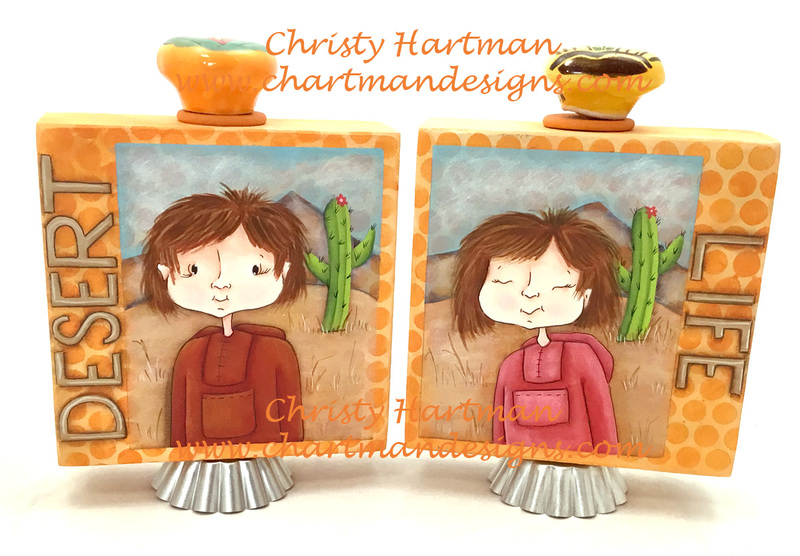 These two desert hikers are enjoying the marvelous weather and exploring the surrounding landscape by looking at native desert cactus. 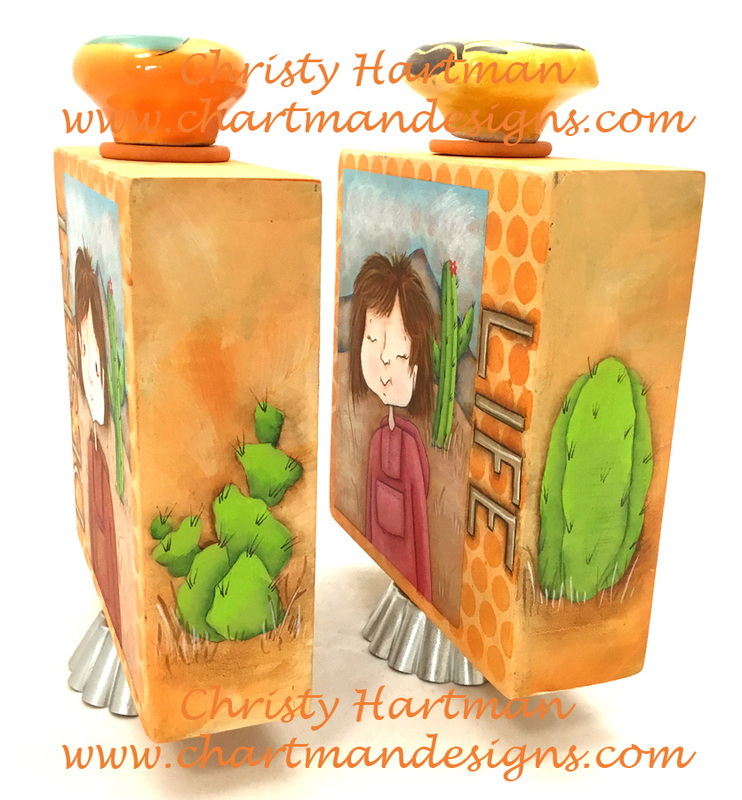 This is painted on re-purposed wood canvases but you could certainly use any surface that you prefer. 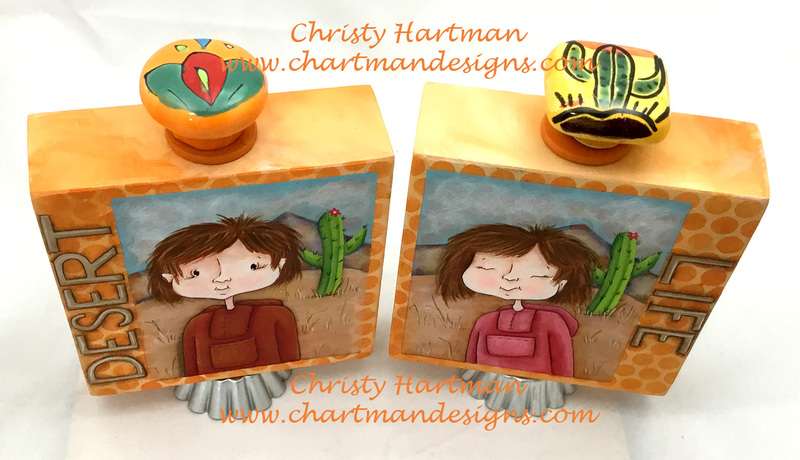 The knobs on the top of each canvas were purchased in Mexico but you would not need to travel to Mexico to complete this project. Use antique knobs or purchase your knobs from your local home store. Paint, stencil and letter your way through the detailed instructions in this pattern as well as 8 detailed photos. You are purchasing the e-pattern for this project, once payment has been verified you will receive an invoice with the green download button on the invoice. If you are struggling to download your pattern there is a PDF with download instructions on the homepage of my website.